Alexander Wong received the B.A.Sc. degree in Computer Engineering from the University of Waterloo, Waterloo, ON, Canada, in 2005, the M.A.Sc. degree in Electrical and Computer Engineering from the University of Waterloo, Waterloo, ON, Canada, in 2007, and the Ph.D. degree Systems Design Engineering from the University of Waterloo, ON, Canada, in 2010. 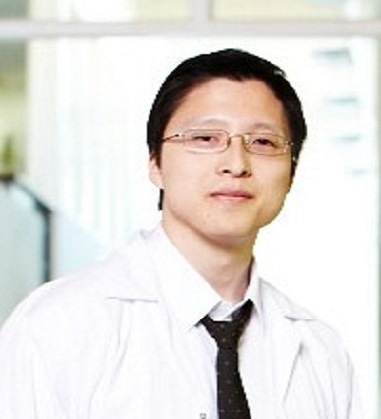 He was an NSERC postdoctoral research fellow at Sunnybrook Health Sciences Centre. He is currently an assistant professor in the Department of Systems Design Engineering at the University of Waterloo. He has published refereed journal and conference papers, as well as patents, in various fields such as computer vision, graphics, image processing, multimedia systems, and wireless communications. His research interests revolve around image processing, computer vision, pattern recognition, and cognitive radio networks, with a focus on biomedical and remote sensing image processing and analysis such as clinical decision support systems for cancer diagnosis, image registration, image denoising and reconstruction, image super-resolution, image segmentation, tracking, and image and video coding and transmission. He has received an Outstanding Performance Award, an Engineering Research Excellence Award, an Early Researcher Award from the Ministry of Economic Development and Innovation, a Best Paper Award by the Canadian Image Processing and Pattern Recognition Society (CIPPRS), and the Alumni Gold Medal.